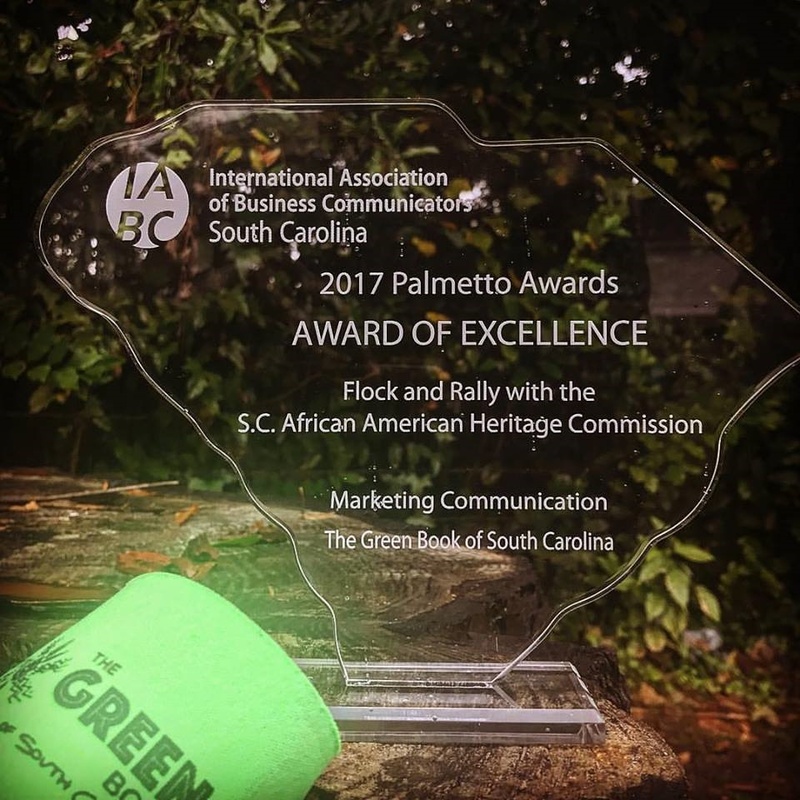 The South Carolina African American Heritage Commission with Flock and Rally: Integrated Communications for a Brave New South received a Palmetto Award of Excellence last week from the South Carolina Chapter of the International Association of Business Communicators. The award recognized innovation and marketing excellence for the development and promotion of the Green Book of South Carolina, the state’ first online travel guide to African American cultural sites. The guide was launched in April 2017 and features more than 300 historical and cultural sites. Each of the sites comes with a brief narrative of their historic significance, driving directions to the site and other elements that enrich the travel experience. Among the attractions in the guide are official state historic markers, districts, churches, museums, schools, HBCUs and cultural attractions. Others involved in the project were Sherard Duvall of OTR Media, Cait Maloney Creative, Period Three web design and Jessica Boyd of The Gild Agency.